Throughout my reading intensive life, I have rarely listened to audio-books. I really listen to them pretty sparingly; the only time having listened to one wasn’t really your run-of-the-mill, narrated audio-book. It was actually a full-cast radio dramatization of the Dark Horse Comic “Star Wars: Empire Rising” that I can recall most fondly, whenever I think of truly memorable recordings. Even without any cinematic scenes being reenacted or written text, that audiobook brought the story of a daunting future, for the Rebels in the Star Wars universe, within the immediate future of the events of the film Return of the Jedi, wherein the formidable Emperor Palpatine returns to wreak havock on the rebels. The story was wonderfully recorded; it even included some new musical compositions, written by John Williams. It was truly fantastic, and left such a deep impression on my mind, from that day on. Sadly, not every author has the type of finances to support a radio drama with a full-cast, therefore publishers and authors are limited to hiring out singular audiobook narrators to play all the eclectic roles of the characters, and also serve as a narrator. The notable difference between a radio dramatization and audiobook is that the radio dramatization normally involves an extended cast of different voice actors/actresses to play each specific role, where an audiobook is limited to just one strong narrator. It also has an abridged script, modified to fit the more tightly-edited format of a radio broadcast. 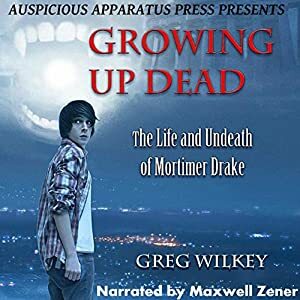 For this audiobook recording of a highly suspenseful, strongly written story like the first of the Mortimer Drake novels, Growing Up Dead, a relatively unknown, though skilled in his own right, actor, by the name of Maxwell Zenner, took up the task of serving as the audiobook reader. 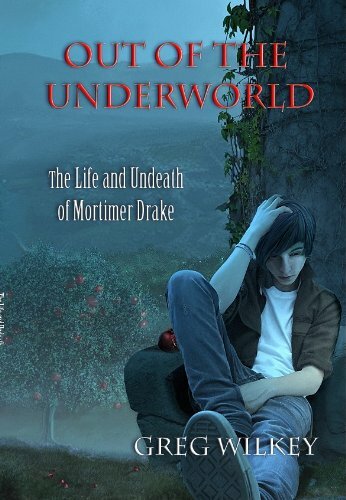 There was some adjustment for me as the listener, as I again am not an avid audiobook listener, but the experience of hearing the story read once more to me, in a wholly different way, was very much as vivid, exciting, frenetically-paced, and truly action-packed, as I remembered the experience of actually reading Growing Up Dead was. For an audiobook adaptation, Growing Up Dead‘s narrator Maxwell Zenner has fairly good diction, and a good grasp on the slight nuances in enunciation and intonation for different types of characters. He characterizes even lesser known characters like the school nurse with the right degree of slight irritation, with soft undertones of cantankerous feeling. Mr Lee, as well, has just the right tone of being stern, though conscientious of the students at the middle school,h where the main half-vampire, half-human character Mortimer Drake attends. Sometimes a few of his other accents are not really that varied from some of the other characters within the story, but for a first attempt, it was very well done, well-polished, and very easy to listen to, and immediately sink immediately into the story. His dramatic voice does provide a great storytelling voice that really makes the experience of listening to Growing Up Dead a mostly enjoyable, engrossing experience. Sometimes, the chapter breaks feel a bit awkwardly intoned, when Maxwell Zenner reads the number, and yes that’s a ridiculously persnickety spot of criticism, but I cannot help but feel the transitions between chapters thus felt a little jarring, and lacking of the right dramatic vigor behind it. Otherwise, it’s a fairly competent, enjoyable recording, which actually sounds like a very professional recording, which makes you wonder whether larger publishing companies should be concerned by the stiff indie-publishing competition out there. Many of the audio-books of self-published novels, such as Greg Wilkey’s Growing Up Dead, are receiving comparatively high-quality, robust audiobook recordings that might prove to make publishing professionals feel a tad bit disconcerted. If you are interested in learning Todd Bareselow’s (owner of Auspicious Apparatus Press) outlook on the emerging market of audiobook adaptations of self-published stories, check out the first post of this week-long blog tour, celebrating the release of Greg Wilkey’s audiobook adaptation of Growing Up Dead. 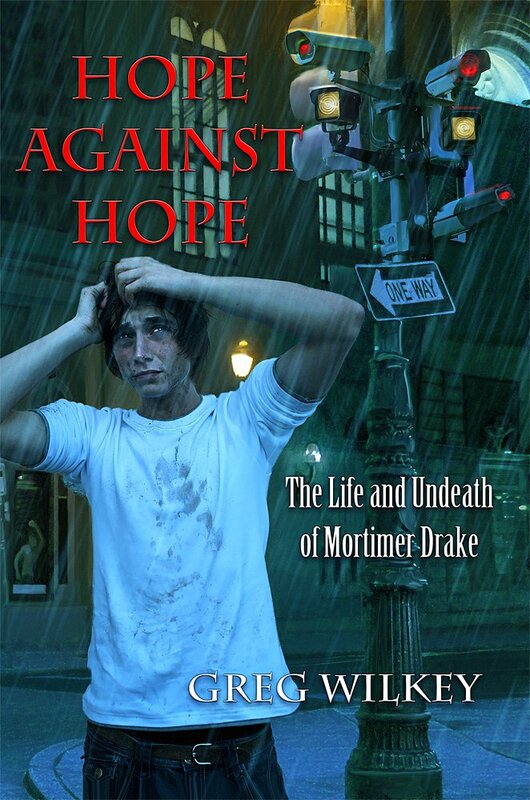 Tomorrow’s post will include an interview I conducted with the author of the Mortimer Drake books, Greg Wilkey, as the blog tour continues till Saturday of this week! Good blog you have here.. It’s difficult to find high-quality writing like yours these days. I truly appreciate people like you! Take care! !